After reading this, you’ll probably check your emails. 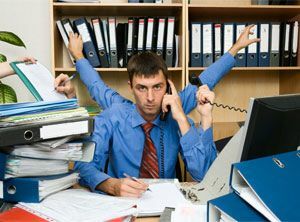 Those rather annoying business and motivation gurus who claim to have got rich just from a few hours work a day by ignoring all other distractions and being super-focused on their money-making task always leave me highly sceptical. An arched eyebrow being an inherited sign of my disbelief. But after a recent marketing botch-up in our company, “I‘m reviewing my situation” as Fagin so eloquently puts it. The gurus’ collective mantra is that we are all too busy with the minutiae to recognise the macro opportunities. Not just in our daily professional occupation but in all aspects of our lives. They claim that chances to make a difference to ourselves, our employers and our household pass us by because we’re too busy doing other stuff that, they believe, is mostly unimportant in the grand plan. And quite by accident, my company recently put this great theory to the test. Our marketing department sent out an email to schools and LinkedIn contacts who had previously enquired about our classroom technology with a time-limited offer at a low price. A very low price. In fact, such a low price that we would have lost over GBP 200 per classroom bundle sold. The mistake was noticed after the campaign was sent so we braced ourselves. This truly was the bargain of the decade and we expected a colossal, and costly, response. What we actually received was the lowest reply rate to any email campaign in our company’s history – 0%. Not one email recipient contacted us to double check the cost (we had already decided to honour all orders received) or to place an order and snap up the bargain of the year. Now you might argue that many were preparing to respond but once they saw the price thought it was too good to be true and that there would likely be a hidden catch. So they didn’t bother. I would agree; some, possibly. But the price was actually at a level that the “replica” tech re-sellers offer for their short life products so, to certain cost-only buyers, it was a workable offer. So why did so many miss the opportunity? My view is that with so much email traffic recipients simply didn’t read the email fully, overlooked the price offer and consequently missed a great opportunity of ordering first class edutech for a third class cost. And that likely scenario takes us right back to the gurus’ theory. We’re all so busy doing stuff that we are at risk of great opportunities passing us by. The wood and trees analogy. It’s a theory that we have unwittingly proven to be a reality, at potentially huge cost to ourselves. So the morale is – however busy, look a little more closely at that incoming mail. There may just be some amazing offers too good to refuse! Gurus want us to be productive, not just busy.